Just as fact follows fiction, the Norfolk and Norwich Festival follows On An Overgrown Path. In the 2005 festival the standout was the Hilliard Ensemble with Jan Garbarek, in 2006 it was Jody Talbot's Path of Miracles, in 2007 Paul Hillier and the Estonian Philharmonic Chamber choir, and in 2008 Jordi Savall. 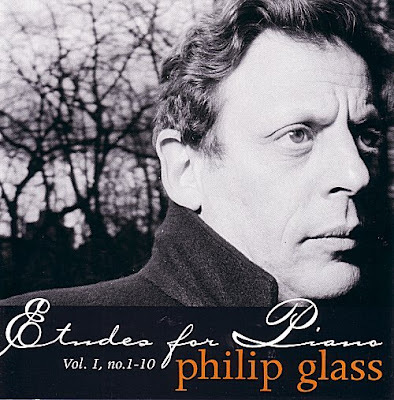 The highlight of the 2009 Norfolk and Norwich Festival Festival in May is Philip Glass playing his Études for solo piano. The population of the Norwich 'travel to work area' is 367,035. The capacity of the Theatre Royal, where the Philip Glass concert is taking place is 1300. Within days of the tickets going on sale the concert is almost sold-out. Did someone say that classical music is dead? I have been listening to Glass the last few days:music in twelve parts and Plutonian ode.